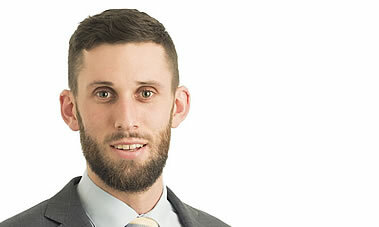 Manny Brennan joined the Turnbull Lawyers team in 2015. In 2017 Manny was promoted to a Senior Lawyer position within the firm. Completing his legal studies at the University of New South Wales, Sydney, he graduated with Honours and excelled particularly in the areas of Criminal and Human Rights Law. Manny is admitted to practice in the Supreme Court of Victoria. While still a student, Manny worked for the defence team of Mustapha Badreddine, one of five people charged with terrorism at the Special Tribunal for Lebanon in The Hague. There he was able to learn first-hand the subtleties of criminal procedural law and to be mentored by an array of international advocates. While overseas he also completed research stints with Professors from the University of Amsterdam and for the Oxford International Criminal Law Database. In Australia, Manny has gained extensive experience working at a variety of community legal centres, particularly in the areas of criminal law and victim’s compensation. The skill he has in developing rapport and trust in clients is matched by a total dedication to his work and a genuine eye for detail. Manny appears in the Magistrates’ Court and instructs Counsel in complex criminal trials in the County Court. Manny regularly appears in County Court plea and bail hearings and is developing his practice as advocate in complex contested matters.